DANCE, DANCE, DANCE!!! That is what MonTrell and Andre' Lee are singing about. Dancing all over the world. It is a feel good song that was made to let the world know that dancing CAN make you feel good. Join MonTrell and Andre' Lee and "Let's Go Dancing! DANCE, DANCE, DANCE!!! That is what MonTrell and Andre' Lee are sing about. Dancing all of the world. It is a feel good song that was made to let the world know that dancing CAN make you feel good. 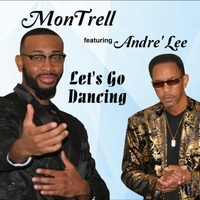 Join MonTrell featuring Andre' Lee and "Let's Go Dancing"